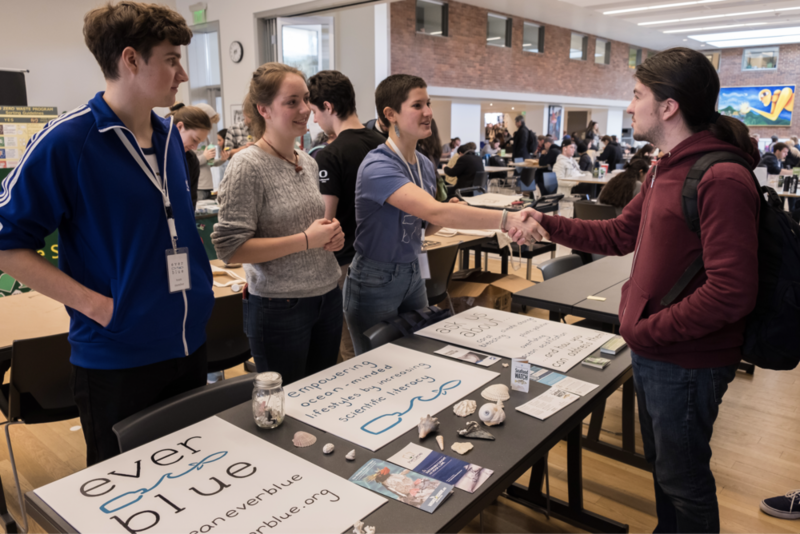 “Ocean Everblue is an outreach organization in its second year. We focus on educating and informing our audience about the ocean and climate change. We take scientific research and present it to our followers in a way they can understand. Our audience is mainly those who are passionate about helping our oceans and planet. We mostly use social media to access our audience because the internet is the best place to spread a message and a wonderful way to share information,” said Ellie Jones, creator of Everblue. How were you inspired to start this organization? “I would not be able to do half the things I do without my team,” she said. Ocean Everblue is made up of a team of 20 people from various professions and backgrounds. It includes marine biologists, graphic designers, journalists, fisherman and more. One of Ocean Everblue's main goals is to provide readers with lifestyle tips that are easily applicable to everyday life. “The tips are a way for people to feel like they are actually able to make a small change in their life. We want to provide a way for people to work on something in their own life and tips on plastic reduction and alternatives is a great way to start that conversation with our audience through social media,” she said. How does Ocean Everlue strive to reduce plastic in our oceans? What does the future of Everblue look like?